To find your show feed, go to the drop-down menu located to the upper right corner of your screen and click on the square cover art image below your display name. This will take you to your main show (profile) page. 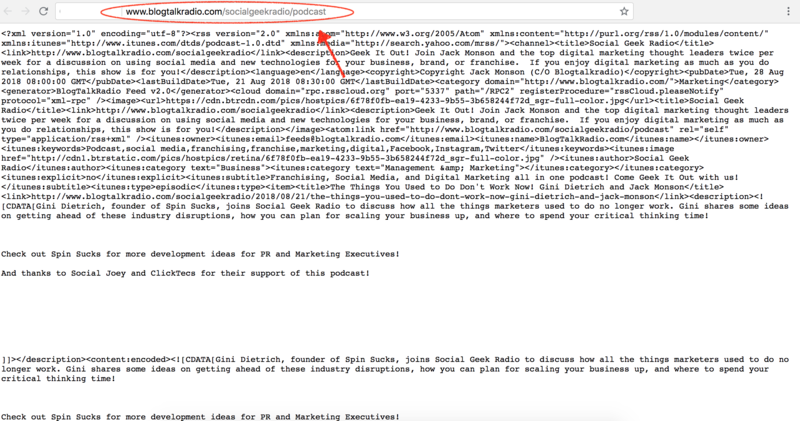 From there, click the small round, orange RSS icon located to the right side of your screen and this will redirect you to your RSS feed on BlogTalkRadio.